Following on from last years success, Team Birdshot is taking part in the Moorfields Eye charities walk – Eye to Eye 2018 walk, both the 14 miles and the 4 miles on Sunday 4th March 2018. So far we have five people signed up walking for birdshot research, with a couple more people who are currently thinking about it. We’d love it if we can get 30 or 40 birdshotters walking (family and friends welcome) showing our support and enthusiasm for more research for birdshot. If you would like to join us, please do sign up with Moorfields Eye charity at: https://www.moorfieldseyecharity.org.uk/eye-eye-2018 and let them know that you are walking for Team Birdshot. If you prefer, you can pick up a registration form in the hospital which can then be returned to their office in an attached Freepost envelope. If you can’t find these in the hospital, Gaby in the Moorfields Eye Charity office is the person to go and find. You may also see Gaby visiting the clinics, as part of her job is to go and meet patients. Birdshotters can choose to walk either the 4-mile or 14-mile route according to fitness and preferences. Gaby has promised to let us have similar start times so that we can walk together, and that will also allow us to be able to get a great group photo before we set off. There is no minimum sponsorship requirement: just raise as much as you can. You also get a free T-shirt and goodies at the end. The times of the walk vary from 7.30am – 12 midday. If you are planning to do the 14 mile it is a good idea to start reasonably early. If you want to take part, please sign up as directed above, but also drop me a line to let BUS know. Here’s hoping for a sunny Sunday on 4th March! Birdshot Uveitis Society is pleased to publish an updated version of our leaflet about BUS and birdshot uveitis. It includes some basic information about the eye condition, the society and a simple Gift Aid form if you wish to donate to the charity. If you want copies of the leaflet, you can print them off yourself to give to friends, family and colleagues so that they can better understand your diagnosis and know where to go to find out more about the condition. The leaflet fits on two sides of A4. BUS recently added a new factsheet which describes the difference between a biologic drug and a biosimilar. It has been posted in both our factsheet section and the in the section which gives information about biologic drugs. The All-Party Parliamentary Group (APPG) on Eye Health and Visual Impairment is running an Inquiry during 2017 into the issue of capacity problems in NHS eye care services in England. The APPG on Eye Health and Visual Impairment is made up of both members of the House of Commons and the House of Lords from all political parties. The APPG Inquiry needs to hear from patients who have received treatment within the last three years (not including the routine provision of glasses or contact lenses) about their experiences of eye care services in England (both positive and negative experiences). The APPG would welcome responses from families and carers too. If you would prefer to take part in this survey over the phone please contact the campaigns hotline on 020 7391 2123 to leave your name and contact number with one of team for a call back. The survey is voluntary and will take about 15 minutes, is completely anonymous, and will help Parliamentarians make recommendations to improve the commissioning and planning of eye care services in England. 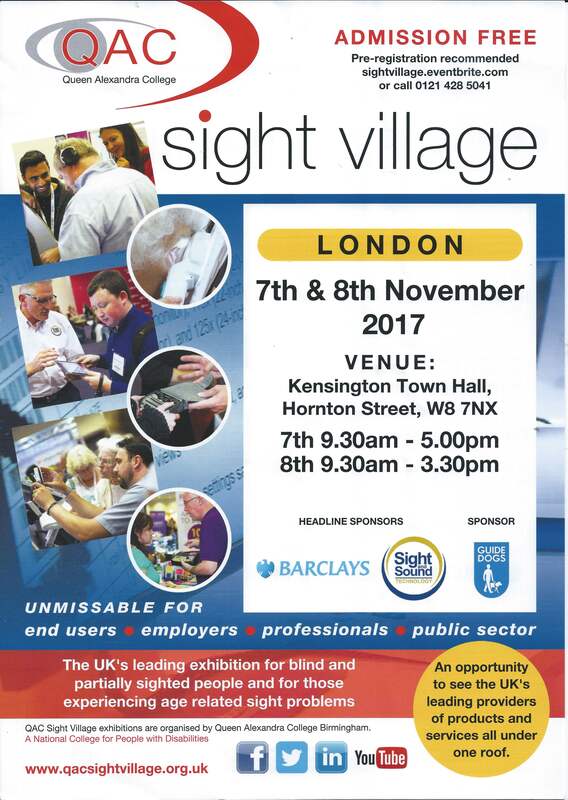 We will also use the findings to support the future work of RNIB in improving care for people with eye conditions. The survey will close on 20th October 2017. Finally after months of consultations, NICE has published its guidance and recommendations for adalimumab (Humira) and dexamethasone implants (Ozurdex). We suggest you may also wish to read Recommendations and then, if you want to know more, turn to the Summary from page 19 onwards and finish by reading the ‘Implementation’, section 5 on page 27. Please also be aware that the process of obtaining Humira (adalimumab) injection and Ozurdex (dexamethasone intravitreal implant) treatment won’t suddenly speed up in England and Wales because the NICE guidance has been published. However, having NICE guidance should make it much easier to obtain Humira or Ozurdex treatment if your consultant says you need it. 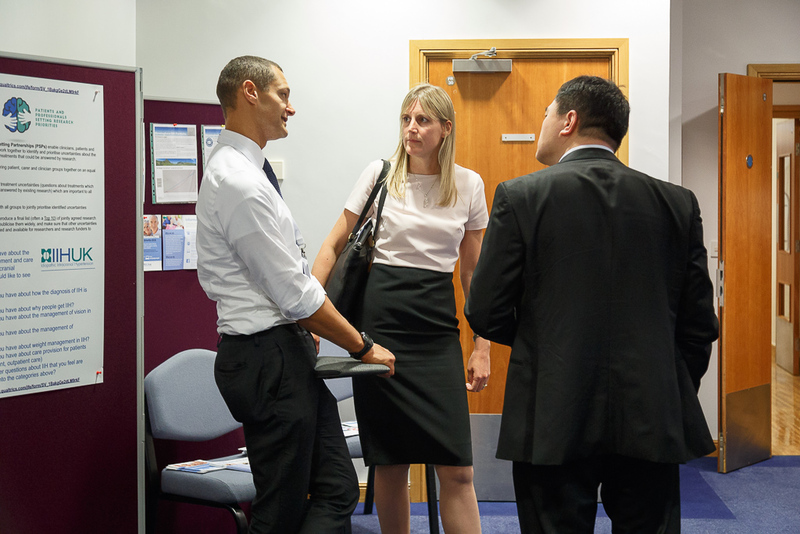 Until recently, it was unusual for doctors, researchers and patients to meet. Patients were excluded from medical conferences, other than being occasionally invited to attend as teaching subjects. Thankfully, this is changing. A meeting held at the Centre for Professional Development in the University of Birmingham Medical School (UK) on July 12th 2017 brought together patients and professionals on equal terms to exchange information and views on some of the ways patients and patient groups such as BUS are influencing ophthalmology research. 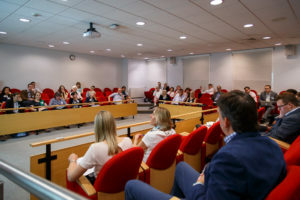 Speakers included our director Annie Folkard and our research nurse Sue Southworth. The workshop was masterminded by Birmingham’s Professor Alastair Denniston. A speaker from another group reminded everybody that patients are not a separate species. They are fighters, often having to fight to be believed. However, discovering and then researching what patients actually experience from their conditions and treatments is not as easy as it sounds. There is often a mismatch between what patients and clinicians each feel is important in research. ‘Patient reported outcome measures’ (PROMS) constructed without patient input are an example of this inequality. One clinician speaker had worked with patients to develop ‘patient-generated outcome and experience measures’ (POEMS) to use in his research, to capture what mattered most to patients. Also, writing good patient information is notoriously hard to do, and this is another area where patient input can help improve matters. Delegates heard some interesting examples of how patients had influenced research. 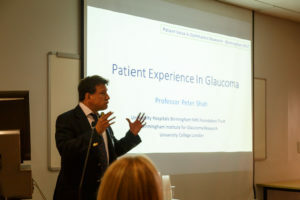 These included the development of a patient-held ‘glaucoma passport’ to hold their essential information; an electronic way for patients to record health events between clinic visits, and the development of an ‘artificial intelligence’ application which will eventually interpret optical coherence tomography (OCT) scans, enabling new patients in the community to have quicker access to treatment. Good communication, with the patient centrally placed, received repeated emphasis during the day. Basic principles included the clinician adjusting their approach to each patient by getting to know them; judging their feelings and reacting appropriately; being authentic and sincere, and the importance of what is said and how it is said. During the day, sets of some quite pointed questions were presented to delegates for them to vote on electronically. One question was whether or not the current UK requirement of having to include details of patient involvement on research grant application forms was just a trendy ‘buzz word’ requirement to obtain research funding, or whether it was a genuine move to get patients involved right from the beginning of planning research, to incorporate their views as part of the research design and ensure the project would be truly relevant to patients. 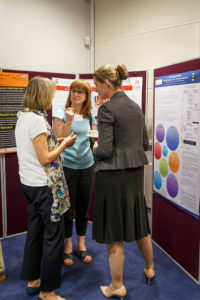 The day provided a great opportunity to meet and learn from other patient groups and those with whom they work. Groups can often feel isolated in promoting the patient voice to doctors and researchers on what really matters to patients, and in trying to get that input transformed into useful research. 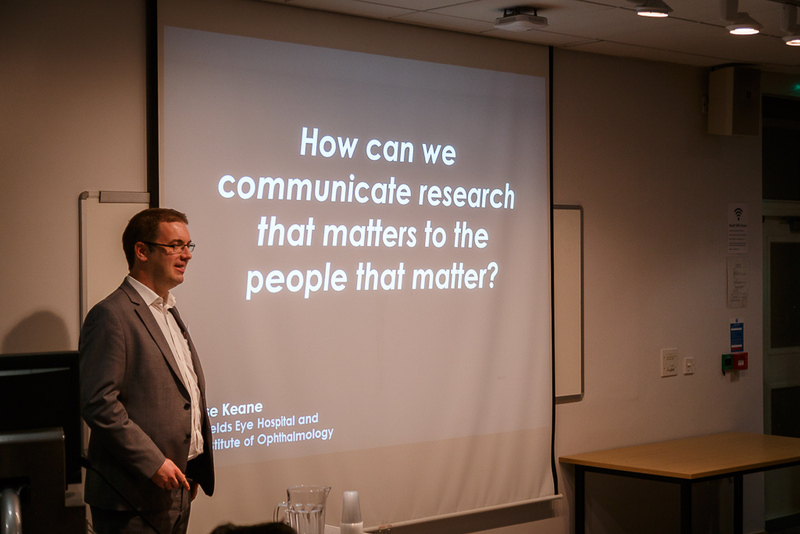 BUS’s presence and contributions to the meeting showed we are recognised as an important part of the ophthalmology patient group movement. For more information, follow the link to: The patient is speaking, an in-depth article published in the British Journal of Ophthalmology in March 2017. Member Margaret Gilmour’s marmalade-making skills have resulted in £150 being donated to BUS – one single pot of marmalade was raffled at our local north west meeting in Manchester and made around £70, plus a further £80 was raised from sales to local friends in Bolton. Personally, I think Margaret’s marmalade is ‘to die for’ – and she has inspired me to have a go next year during the marmalade orange season. Margaret enters her marmalade regularly in the World’s Original Marmalade Festival in Cumbria, this year achieving ‘silver’ (18/20). Just over £300 was donated to us by members of staff at Shire’s Leasing when they had a dress-down Friday in support of Birdshot. Everybody was encouraged to make a donation of just £1.00 to come to work in casual clothes. And to help even more, the company matched the donations received. It really is an easy way to raise a bit of money for birdshot research. Thanks go to the organiser and Helen George, a member of their staff who has birdshot. Helen has also done a great job at raising awareness amongst her work colleagues, which is also a really important thing to do, as it may help people to get eye conditions diagnosed more promptly. 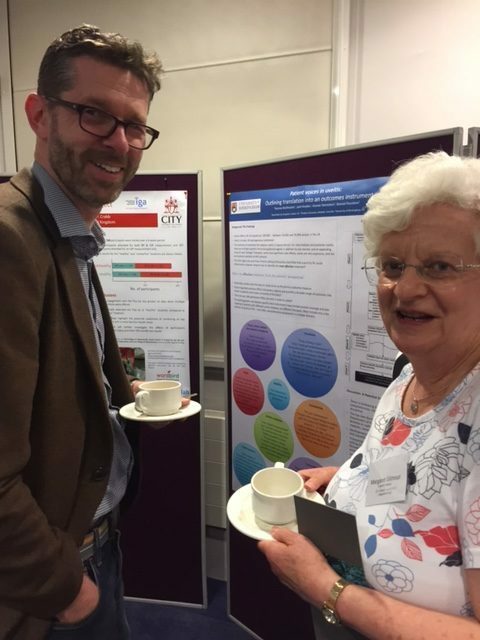 BUS has received a number of generous gifts in memory of Uwe Ploog, a Moorfields birdshot patient who took part in the pilot ‘red light’ study which is continuing. His wife decided to request donations to BUS and the Pituitary Foundation instead of sending flowers in his memory. The gifts to BUS will be used to go towards future birdshot research. We would like to thank all who kindly donated in this way. One of the ways in which it is easy and quite painless to give to BUS is to make a small monthly donation by Direct Debit via the Just Giving site. We’d like to thank the member who signed up to this last month. If you are also interested in doing this, just click the following: https://www.justgiving.com/birdshotuveitissociety and select ‘make a monthly donation’. You will also be able to see some of the ways other people have raised money for BUS on the Just Giving donation page. Next month we will be holding our annual clay pigeon shoot on election day, 8th June! This is our major fundraising event and we are hoping the sun will shine. We have one of our leading clinicians as guest speaker and Lord Jeffery Archer will again be auctioning the fabulous prizes which will be on offer. BUS’s grateful thanks go to everyone who helps us raise funds. Our administration costs are virtually non-existent, so nearly all money raised goes towards our charity objectives. This multiple technology appraisal is a long drawn process and BUS has been involved in this from the start in June 2015. Since then we submitted an organisation statement and provided a patient expert to give the patient’s perspective on Humira. 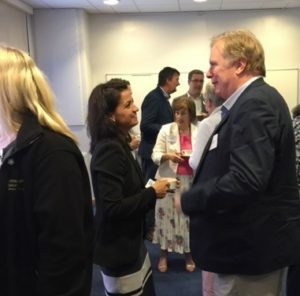 We, along with RNIB and Olivia’s Vision have provided the patient perspective as we feel it is very important that these totally different technologies are available for people with sight threatening posterior uveitis. There are many pages involved in the committee papers, but below we provide an index to help you find your way around. We have often felt swamped by all the NICE paperwork. Under the webpage heading ‘Appraisal Consultation’ you will see links to the ‘appraisal consultation document’ and to the committee papers. There are 684 pages of committee papers, but below we provide an index to help you find your way around. The appraisal consultation document contains the draft recommendations for the use of Humira and Ozurdex and this is fortunately considerably shorter. As an organisation, we will be providing our comments about the draft recommendations to try to get them improved. As members of the public, you are also free to submit your comments on the appraisal consultation document via the website. The NICE appraisal committee will meet again on the 12th April to consider all the comments received on the appraisal consultation document. The NICE guidance will then be published in July 2017 as a ‘final appraisal determination’. p3: ‘pre-meeting briefing’ done for committee members before February 15th 2017 meeting (includes useful notes linked to the assessment report, eg, p9: a treatment pathway provided by the clinical advisors). p65:’matrix of consultees and commentators’ (issued February 2016). p61: ‘final scope’ (issued June 2016). p69: ‘Assessment Group Report’ (the economic modelling done by Sheffield; issued 30th November 2016). p298: AbbVie’s response to the assessment group report. p318: Allergan’s response to the assessment group report. p326: BUS’s response to the assessment group report. p328: Olivia’s Vision’s response to the assessment group report. p330: RNIB’s response to the assessment group report. p350: Assessment Group response to RNIB comments. p351: Assessment Group response to Olivia’s Vision comments. p352: Assessment Group response to BUS comments. p357: Errata to the Assessment Group Report (all highlighted in red). p431: AbbVie’s submission to NICE (August 19th 2016). p489: Allergan’s submission to NICE (August 19th 2016). p598: BUS’s submission to NICE (summer 2016). p610: Olivia’s Vision’s submission to NICE (summer 2016). p624: RNIB’s submission to NICE (summer 2016). p640: NHS England’s submission to NICE (includes references to sirolimus). p648: Prof Phil Murray’s submission to NICE. p656: Sri Sharma’s submission to NICE. p663: Ali Mapstone’s patient expert statement to NICE. p671: Maxine McCarthy’s patient expert statement to NICE. p681: Nicola Symes’s NHS England statement to NICE.